Janice de Belen was happy to see Emma Yuhico again. 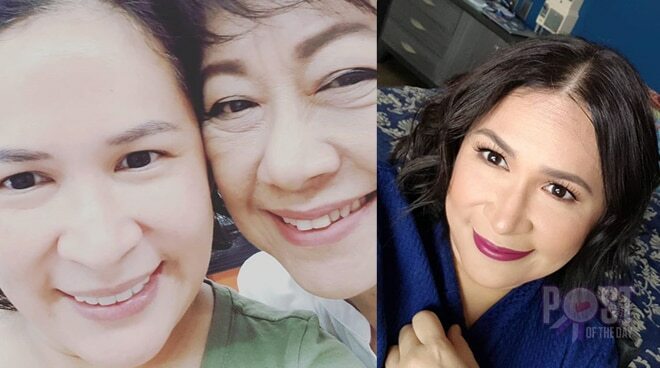 Janice de Belen happily shared on Instagram that she got the chance to see Emma Yuhico, the actress who played as her mother in the hit ‘80s teleserye Flordeluna. “The other day as I was buying ingredients, I bumped into my Flordeluna mom, Emma Yuhico. It was so nice seeing you again,” Janice wrote. Janice was a popular child star who got her biggest break when she got the lead role in Flordeluna. She was also called the ‘80s Teen Drama Princess alongside Julie Vega, who starred in the equally popular TV series Anna Liza. Just months ago, Janice found a photo of herself with the late actress and shared it online. Janice will soon be back on TV as Amelia Guerrero in the upcoming ABS-CBN TV series The General’s Daughter.